Your period’s late. You dig that pregnancy test out from the bottom of your drawer and pee on the stick, expecting to see a big fat positive show up in the results window. If you’re trying to get pregnant, this can be a huge emotional blow. And if you’re not trying to get pregnant, it might be a relief. But either way — you’ll probably wonder why the test is negative when you’ve missed your period. Was that pregnancy test accurate? Is it possible to be pregnant when a home pregnancy test is negative? Are there any reasons other than pregnancy to explain a missed or late period? To help you work your way through the confusion and stay calm until you’re 100% sure whether or not you’re pregnant, here are 10 reasons why you might have a missed period and a negative pregnancy test. Home pregnancy tests (HPT) work by picking up on a pregnancy hormone called human chorionic gonadotrophin (hCG). Levels of this hormone rise quickly in your body as soon as a fertilized egg implants into the wall of the uterus. If you’re testing quite early — either before the first day of your missed period, or just a few days after — the levels of hCG in your urine may not be high enough for a positive test result even if you are pregnant. Some HPTs can detect the hCG hormone at very low levels — but many of them are not so sensitive. In addition, in very early pregnancy if you use a pregnancy test late in the day when you’ve already consumed lots of water or other fluids, the strength of the hormones in your urine will be diluted. That’s why it’s best to use your first wee of the day for a pregnancy test. This is one of the most common reasons for a negative test in early pregnancy. Wait a few days and then test again. At the beginning of a healthy pregnancy hCG levels double every day, so if you are pregnant it won’t be long before a home pregnancy test can confirm it. It might surprise you to learn that one potential reason for a negative pregnancy test is that your pregnancy has progressed too far for a home pregnancy test to detect it. But don’t worry — it’s uncommon for this to be the cause of your missed period and negative test. Well; hCG is a complex hormone which becomes more complex the further along you are in pregnancy. In early pregnancy, hCG is produced in a simple, complete form — the molecule is intact and can easily be detected by a home pregnancy test. But over the weeks as your pregnancy develops, your body produces other variations of hCG with different molecular structures. Home pregnancy tests are not designed to pick up on these different variants of hCG — so they become a less reliable method for testing for pregnancy. If your last period was more than 5 weeks ago and home pregnancy tests are coming up negative, go to the doctor and ask them to do a blood test to find out for sure whether or not you’re pregnant. This is another rare reason for a negative home pregnancy test during the early days of pregnancy. If you’re pregnant with twins or triplets, your hCG levels usually rise very quickly after conception — much faster than they do when you are pregnant with a single embryo. This can mean that you get a positive result on a home pregnancy test earlier — but the window of opportunity is smaller. In fact, home pregnancy tests have a top limit of hCG that they can detect, and when the levels in your urine rise above that top limit, you can get a false negative. In other words: if you’re pregnant with twins or triplets you can get a negative pregnancy test because your pregnancy hormones are too high for a standard HPT to detect. So if you’ve missed a period and are experiencing pregnancy symptoms, ask your doctor for a blood test or ultrasound to check for pregnancy. Home pregnancy tests are very reliable. But now and then a test that has passed its use-by date or has been stored incorrectly may not work properly anymore. For this reason, it’s always worth buying a second test — and even a different brand — to check that your negative result wasn’t down to the test itself. It’s also important to follow the instructions included with your HPT very carefully. Different brands of HPT work in particular ways; for example one test might need to lie flat for 3 minutes before it can be read, while another is accurate after 1 minute. Or one brand might need to be dipped into a pot or urine rather than held in your urine stream. Read through the instructions that come with each test you buy — even if you’ve read them before! — and make sure you use your HPT exactly as the manufacturer tells you to. This doesn’t happen very often — mainly because when most of us take a pregnancy test we want to know the result as soon as possible! But if you have peed on a stick, left it, and then come back to it a few hours later and found a negative result, this can’t be trusted. Home pregnancy tests must be read within the time frame listed in the instruction booklet or on the packet. If you leave a test standing for a few hours after use it can dry out — the urine on it evaporates, and a positive result can disappear. A molar pregnancy— also called Gestational Trophoblastic Disease (GTD) — is a very rare pregnancy abnormality. It happens when there is an extra chromosome in the male sperm, or when sperm fertilizes an empty egg. You can read more about molar pregnancies here. 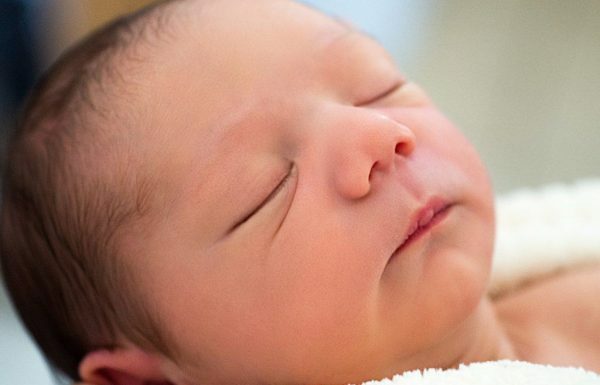 It’s uncommon for an embryo to grow at the same time as a molar pregnancy — and if there is a embryo, it is highly unlikely to develop into a surviving fetus. As molar pregnancies don’t typically cause a rise in the pregnancy hormone hCG, home pregnancy tests will not usually detect them. An ectopic pregnancy happens when a fertilized egg impacts in a woman’s body outside of her uterus. A baby cannot grow outside the uterus so an ectopic pregnancy will not develop into a healthy fetus. During an ectopic pregnancy, the body produces lower levels of hCG than in a healthy uterine pregnancy. You won’t have your usual period, but these low levels of pregnancy hormones mean that a home pregnancy test is less likely to detect them. Read our blog post which answers 7 common questions about ectopic pregnancies to understand more about ectopic pregnancies, how to find out if you’re having one, and how it will be treated when you go to the doctor. A menstrual can be disrupted by a number of different lifestyle factors. – You have been doing intensive physical exercise. This can affect the regularity of your period as your body adjusts and adapts to the hormonal changes that come with exercise. – You’ve been feeling stressed. Stress can cause your period to be delayed or even missed completely. – You haven’t been eating enough food; drinking a lot of caffeine; or if your diet hasn’t been well-balanced. Malnutrition can prevent you from having a healthy period. – You have been through any big shifts in your regular routine. Changes like starting to work a night shift or working unpredictable shifts, moving house, or spending a significant amount of time in close contact with other women who are menstruating can alter your cycle. Now and then your menstrual cycle will change naturally, too — you might be as regular as clockwork for two years and then find that the length of your cycles changes by a few days for no apparent reason. This is normal and nothing to worry about; but it can cause concern when your period doesn’t arrive when you expect it to! Some medication can change or suppress your usual menstrual cycle. If you’re unsure whether your cycle is being affected by medication you’re taking, make an appointment to talk to your doctor about it. A number of medical conditions may also change the rhythm of your cycle, or prevent you from having a period. Among these are Polycystic Ovarian Syndrome (PCOS); Endometriosis; thyroid issues; Uterine Fibroids; Diabetes; and eating disorders. If you have a medical condition which affects your menstrual cycle, or you think you might have one, it’s a good idea to discuss any questions or concerns you have about your periods or fertility with your doctor. It can be difficult to get those conversations going; but your physician is there to help, and should be able to offer the support you need. If you’ve already had a child and are still breastfeeding it’s very common to have irregular periods, or no period at all. While you’re breastfeeding your body continues to produce several special hormones, including prolactin hormone which allows your body to produce milk — and it also prevents menstruation. Some women do have periods while they’re breastfeeding, but many women experience very irregular periods — often with longer cycles (which means longer stretches of time between bleeding) and longer or shorter periods when they do come. And many women find that they don’t have a period at all until they stop breastfeeding completely or until their child is taking milk less frequently. And when you stop breastfeeding, it can take time before your menstrual cycle returns to normal – although it may be almost immediate, it may be between 6 months and 2 years after breastfeeding stops that a mother gets her first period! Our bodies all adapt and adjust to pregnancy, motherhood and lactation differently. So, no period while you’re breastfeeding, or in the months after you stop, doesn’t necessarily mean you’re pregnant. But it’s important to remember that it is possible to get pregnant while you are breastfeeding — so don’t use it as birth control if you don’t want to conceive again. So Am I Pregnant or Not? 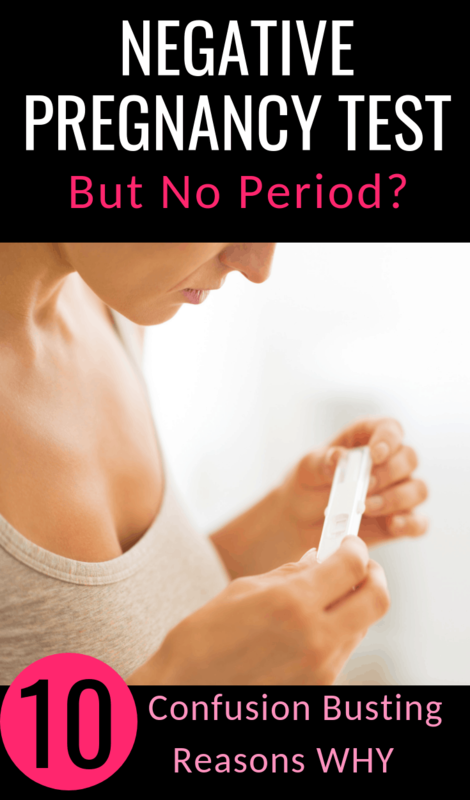 It is possible to miss a period and not be pregnant. But it’s also possible to have a negative pregnancy test when you are pregnant. Pregnancy hormones and the tests that detect them are delicate and easily affected by a variety of factors. Whether you’re trying to get pregnant or not, don’t panic. Take another pregnancy test a few days after the first one – if you can manage to wait. And if you’re still unsure, head to the doctor to get a conclusive answer.